There are many hundreds of meditation practices found in religious traditions and personal development systems throughout the world, and although it might look like people are all doing the same thing when they sit with their eyes closed, they might well be doing any of this huge range of different things. One way to get an overview of all these different approaches, is to see them as fitting into one of four broad categories – or maybe a combination of two or more of them. In this types of practice you focus your attention on one aspect of your experience, and train yourself in regulating your attention by patiently and consistently bringing your mind back to this focus of attention whenever it drifts off. Meditating in this way calms and focuses your mind, and brings together all your scattered energies and thoughts. Body awareness meditations and mindfulness of the breath are both practices of this type, and are this approach is the best way to learn to meditate for most people. In these meditation practices, you bring into being, or further develop, a positive quality or state of consciousness, using your imagination, memory and will. The classic example of this type of meditation is the family of meditations known as the Brahma Viharas, which are also called The Four Imeasurable in the Tibetan Buddhist tradition. The root of these is the cultivation of loving kindness (metta bhavana or maitri bhavana), the fundamental state of positive regard and well wishing which underlies all others. When you experience metta and you encounter suffering, then your natural response is one of compassion (karuna), and when you encounter growth, development and happiness your response is one of sympathetic joy (mudita). The fourth practice is the cultivation of equanimity – the capacity to respond creatively and from your values without being either overwhelmed by all the suffering in the world, or intoxicated with pleasure. This approach can be seen as complementary to the concentrating practices, because instead of focusing the attention on one specific aspect of your experience, when practising in this way you seek to remain open to all of your experience even-handedly. This type of meditation is often done with your eyes slightly open, so that you pay equal attention to images, sounds, physical sensations, etc. and allow them all to come and go without getting caught up with any one of them. 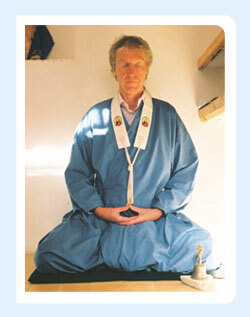 Japanese Zazen and the Tibetan practices of Dzog Chen and Mahamudra can be seen as practices of this type. Once your mind is settled, then you can turn your focused attention onto your experience so that you can see it more clearly. This might mean observing the way in which your thoughts, feelings and sensations come and go, or exploring your experience to try to identify the self that we all presume to be there. Sometimes, as in koan practice, this might include the use of words, but often it is more an attitude of inquiry, as your mind may be too refined for discursive thought. Any particular meditation practice might include any one, or several of these four modes or dimensions of practice, with many complex meditations in the Tibetan traditions including phases of each. It is worth remembering that these definitions are just a guideline, as the practices do not have distinct boundaries, and whenever you are meditating you need to maintain a balance between consciously guiding your attention (concentrating) and being receptive to whatever experience is arising (receiving). If you focus too much on concentrating your meditation will become tight and dry, but if there isn’t enough focus then you are likely just to drift away from meditation into daydreams.